I was SO excited when Emily text me to let me know the exciting news that she was pregnant with her third child. I met Emily in Anacortes about 5 years ago and have watched her little ones grow bigger and bigger and now her oldest is in preschool! Oh how time flies! Emily is loving and patient and I have always told her she was truly meant to be a mama. When she was pregnant with her second child, we talked about maternity photos and we never got a chance to do them so this time, I was determined to get them done! Emily’s brother has a gorgeous property in Snohomish, WA so we headed there about 2 hours before sunset and the lighting was absolutely perfect. 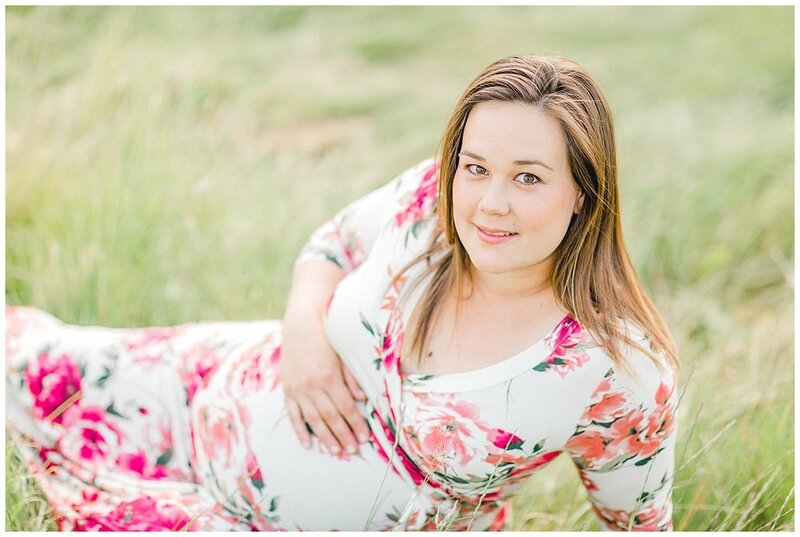 Emily looked radiant in the golden light and luckily, we did these photos just in time because her little boy was born two days later! We were just in the nick of time, her baby boy is absolutely adorable and I will be taking photos of that cutie soon! !